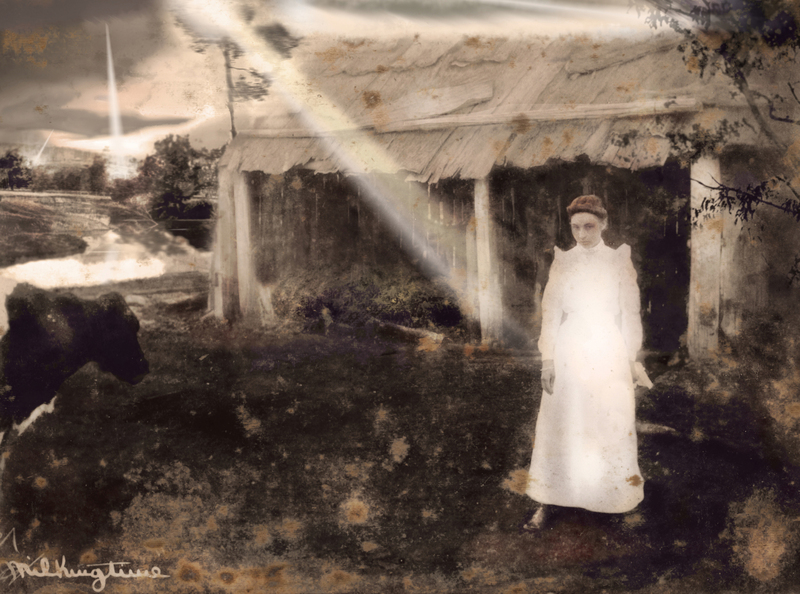 This manipulated image is a photograph from the 1890’s, sourced from the Shoalhaven Historical Society. What struck me was the look on the woman’s face. Then something to do with the barn and the hay in the background got me thinking of a manger… and then it was just a small step to go religious . An annunciation is going on, but also two more happening in the distance. The cow in the left hand corner, all of the mould damaged patina in the foreground and the title ‘Milkingtime’ in the bottom left hand corner is all part of the original image.